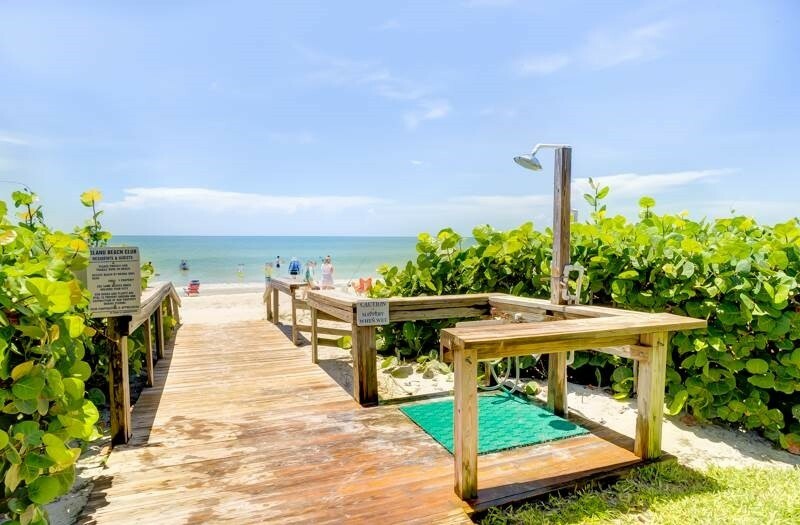 Look no further - you've found your home away from home at Island Beach Club B210! 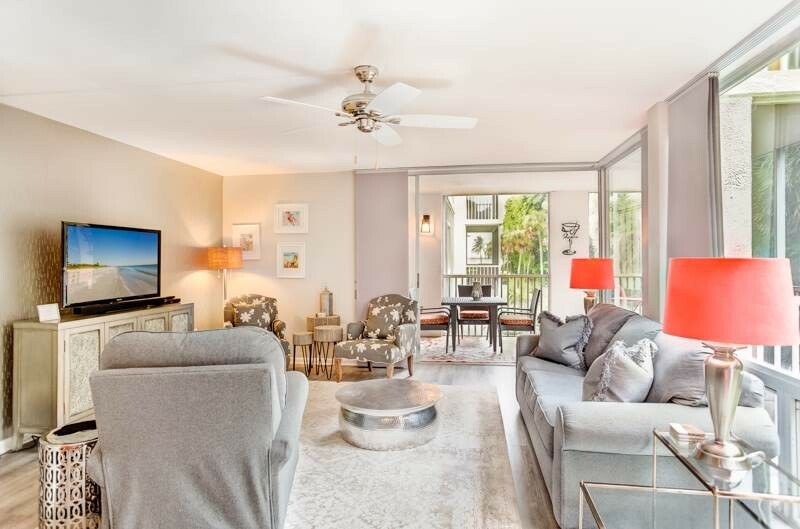 Whether you choose to spend a week or a month in this fabulous, newly renovated 1440 square foot 2 bedroom, 2 bath condo, no detail has been overlooked. Unit B210 has been professionally decorated with high end furnishings and is freshly painted in soothing coastal gray and white colors. 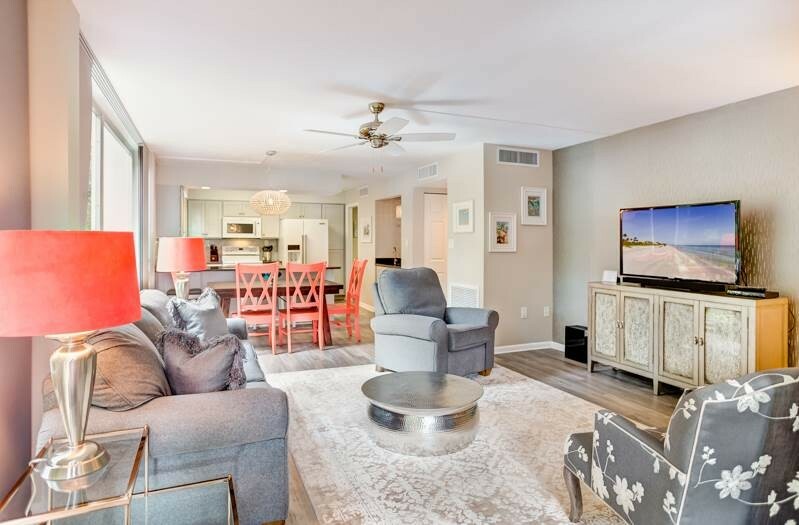 In addition, Unit B210 features a wrap around balcony and floor to ceiling windows, as well as beautiful furnishings and finishes throughout. Along with thoughtful decor,it offers lovely linens, dishes, beach chairs (and beach towels!) - and, it has just enough of a partial gulf view that you'll settle in and never want to leave. 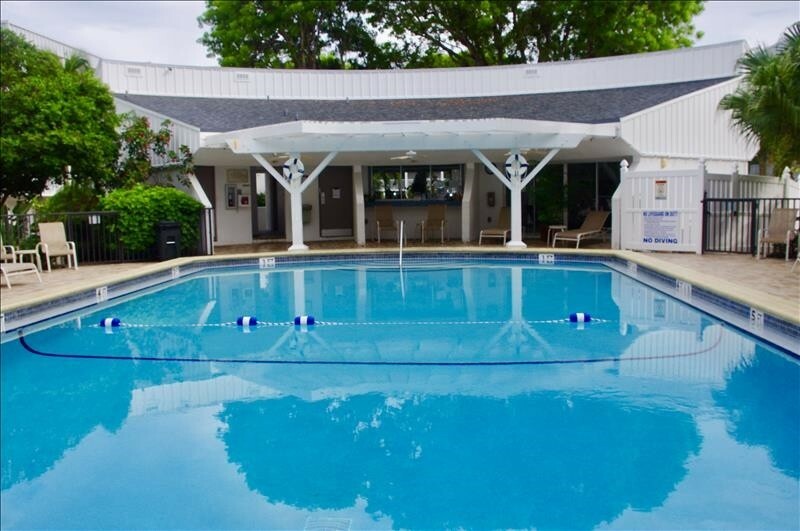 Combined with a great location, you have everything you need for an amazing vacation at this 75-unit complex. With an outdoor heated pool, covered parking, elevators, shuffleboard and grills, Island Beach Club checks off all of the 'want' boxes for your vacation getaway. Island Beach Club B210 offers a split floor plan, with the Master and Guest bedroom being closest to the entry and nearest to the pool. The living room, dining and kitchen area, lanai and laundry are situated on the west side of the buidling, which features beautiful garden views. It is from the living room and lanai that you'll enjoy a lovely partial view of the Gulf of Mexico and see the colors of the sunset. Featuring floor to ceiling windows, the bright living room seats 5 - 6 comfortably, and features comfy club chairs, a queen sleeper sofa, large flat panel tv, dvd and plenty of room for entertaining friends or family. 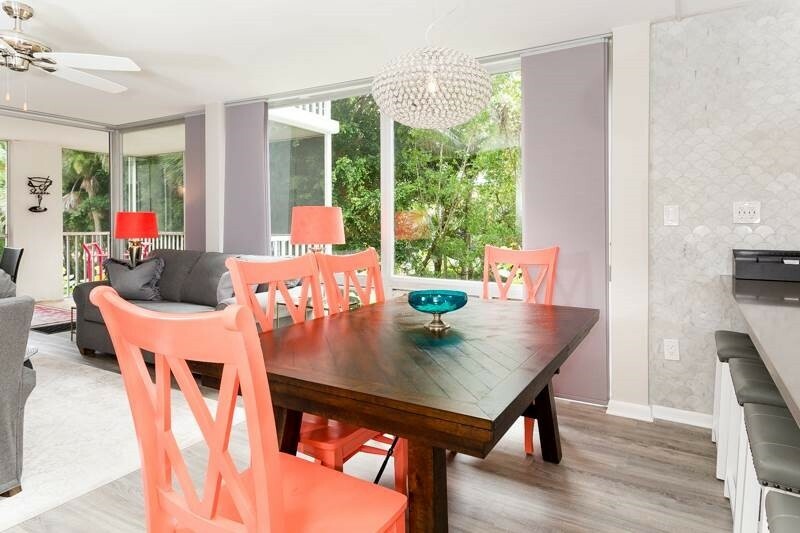 Enjoy your time here - the beautiful seascape gray accent wall, along with giclee prints by Sanibel's favorite artist, Myra Roberts make for a relaxing room with beautiful garden views. The wood leaf dining table is accented by coral chairs and a glass beaded style chandelier. 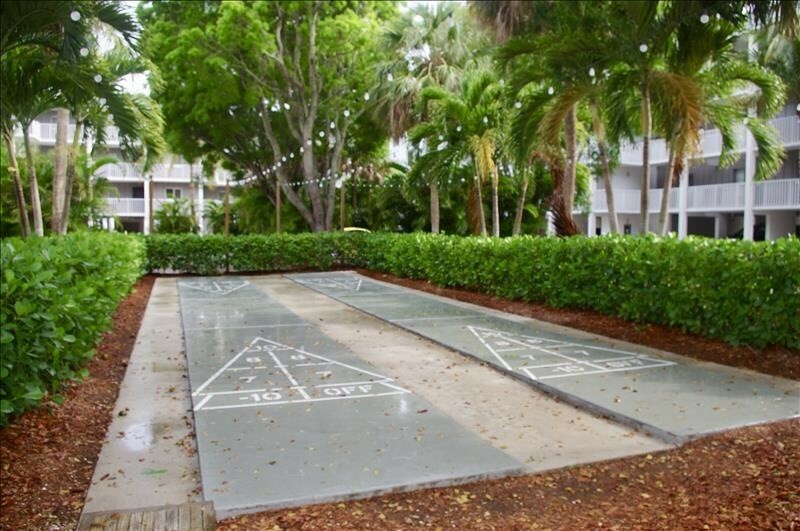 It's a perfect spot to enjoy meals, have a family game night or piece a puzzle together. 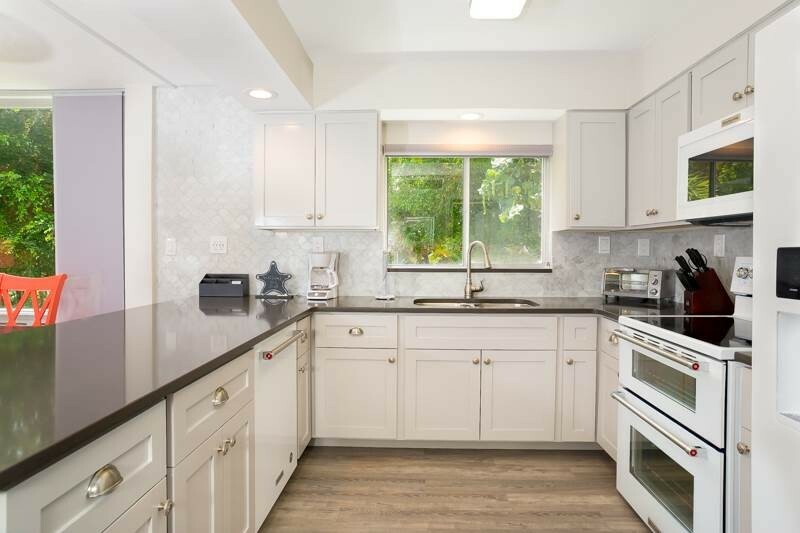 The large kitchen has custom seaside coastal grey cabinetry, quartz countertops, barstool seating for four, Kitchen Aid appliances in White Ice finish, and gorgeous Carrara marble mosaic tile backsplash. The kitchen is fully-equipped with everything you need to be self-catering. The gourmand of the family will be pleased with all of the supplied accoutrements that make meal prep and entertaining a breeze. And, yes, there are USB charging inputs for your phones and tablets, along with complimentary wifi. 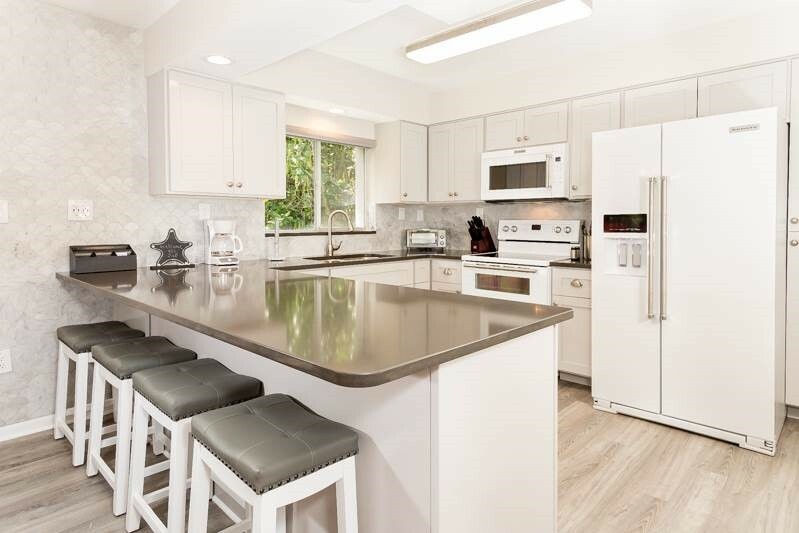 You'll find a wet bar adjacent to the kitchen and dining area. In addition to a stunning Moroccan light fixture, you've got plenty of space to whip up an island cocktail for your family and friends. The Mid-Century Modern decor of the master bedroom has carpeting throughout, a King bed, flat panel tv and a plush chaise that is perfect to stretch out and read a book, watch a tv program or take a nap. 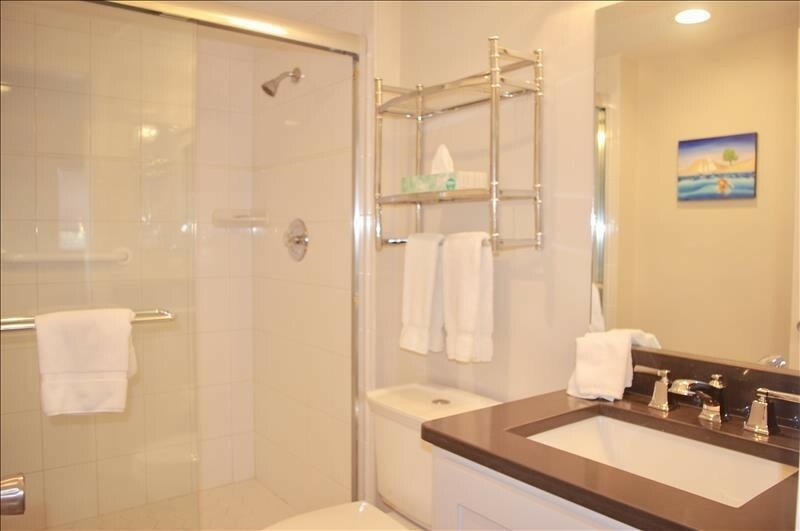 In addition, there is an en-suite bath, with beautiful tile details and custom vanity, as well as a walk-in closet. A set of sliding doors leads from the Master Bedroom to the screened lanai, which has seating for 4, and an additional chaise lounge. The guest room features two Twin beds, flat panel tv, and an en-suite 3-piece bath, with a custom vanity and mosaic tile shower. The walk-in laundry room features a laundry center with washer/dryer, laundry sink and ample storage. Complimentary aundry detergent is provided for your use. 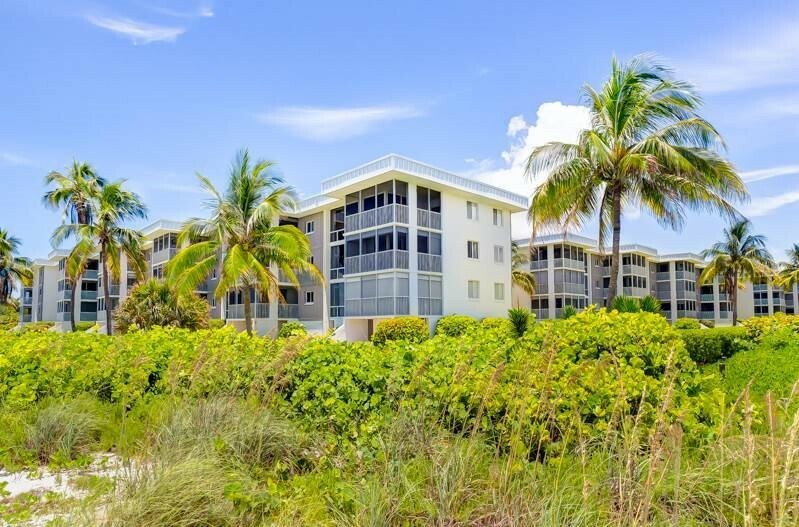 Island Beach Club B210 is professionally managed by Cottages to Castles of Sanibel & Captiva. Since 1997, they've been making sure that each stay is a memorable one. Please contact me with information regarding Island Beach Club B210. My friends and I used this week as a sort of reunion, having met years ago on a Viking River Cruise. This was not my first trip to Sanibel, but it was theirs and the condo, as well as the island, got a ringing endorsement. We could not get over how spacious, light, and bright it was. We cooked together many times and found the kitchen very easy to work in. We had perfect weather, decent shelling, and some wonderful sunsets. The pool is absolutely gorgeous! We never wanted to leave it! Thank you for sharing your beautiful home with us! We look forward to your renovations and a return visit! 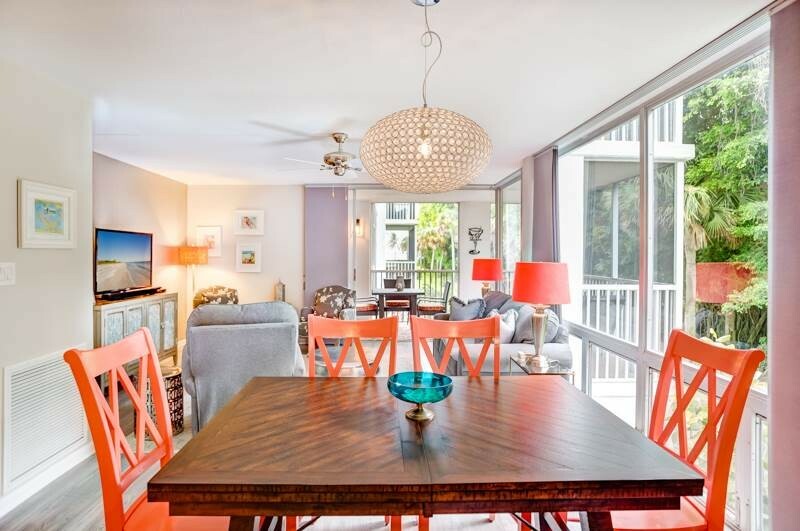 Perfectly beautiful and spotlessly clean comfortable condo. They included 2 bikes and beach chairs, fully equipped kitchen. We could not have been happier. We just spent 4 days in appt 210B which has clearly been recently and tastefully redecorated. Quite honestly it was perfect! Well equipped. plenty of space and well located for all we needed in Sanibel. The apartment block itself is clearly getting on but the maintenance team (we met two of them) work very hard to keep everything running well and all of the public spaces were very well decorated and well looked after, well done guys - great job! In the apartment itself we wanted for nothing; comfy sofa and chair in the living room, comfy beds, all the small appliances needed in the kitchen and even sharp knives!!. `The pool was on the small side but barely used and so plenty big enough for us and the few other that used it. I guess that the only criticisms would be that the shower in the second bedroom was not very powerful and the door lock on the front door was kinda difficult to manage - a bit of an art to getting it to lock and unlock. That said, I'm being very critical and neither thing spoiled the vacation at all. We thoroughly enjoyed our stay and I wouldn't hesitate to stay there again. 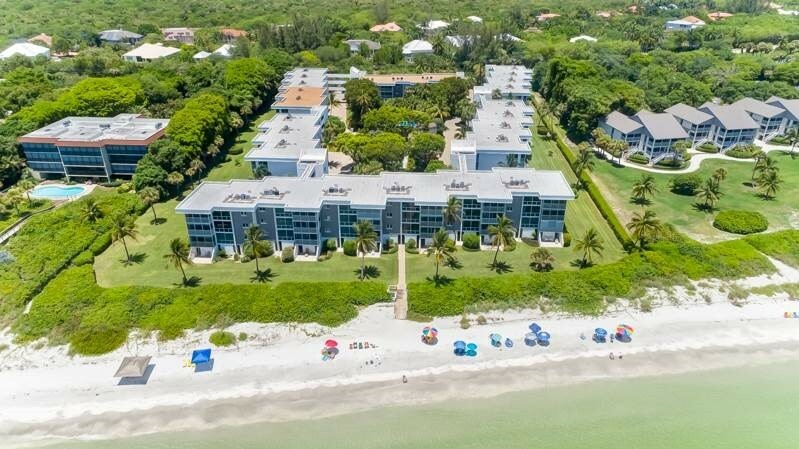 Sanibel and apt 210B of the Island Beach Club feature highly in my list of favourite places in the world! A very up to date place. Lovely screened porch. Worked well with our dog! A bit farther away from the beach than imagined. But easy access, and wonderful Sanibel beach! Comfy king bed. Great central location. Well supplied kitchen. The condo was super clean and wonderfully decorated. We loved the location!!! We have only wonderful things to say about this property. It was extremely clean, comfortable, and well appointed, and the management team could not have been more accessible or accommodating. My husband and I stayed the week with our two young children (ages 5 and 3), and everyone had a blast. 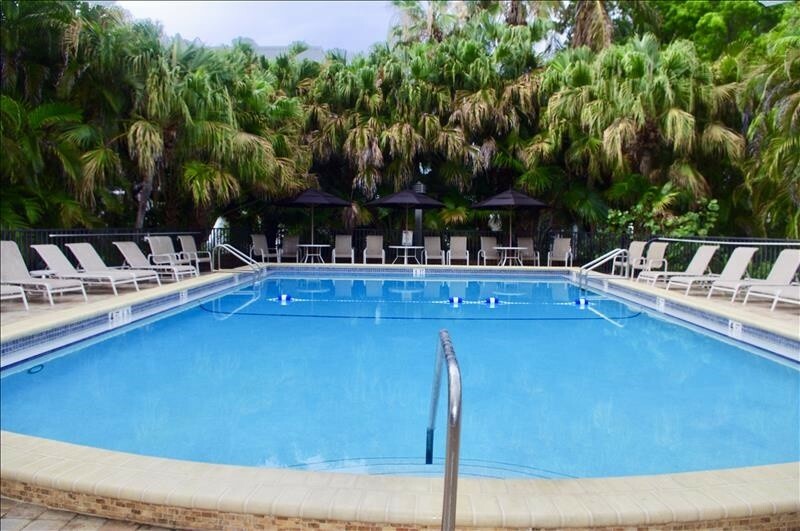 The condo is steps from the complex’s terrific pool and private beach access. We made good use of the beach chairs and towels that were provided by the owners, as well as the grill near the pool. The property suited our needs perfectly, and we can’t wait to go back next year! Great place for our stay! Great location on and off island! Beach access amazing and pool amazing! Nice quiet community! We were accommodated wonderfully despite an issue with our previous place of rental! So glad we were able to be accommodated and treated wonderfully! The renovations were great for a beach property! No carpet except in bedrooms! The musty smell in most beach condos NOT an issue! Great record, great instructions left on how to work tv and electronics ! WE LOVED IT! From the Midwest states of OHIO and MICHIGAN ! Go blue! Your renovation is beautiful and an inspiration for projects in our own home. We all had a wonderful time and if we stayed longer, I would delight in trying out your new kitchen. Truly, this was an exceptional experience! We had a wonderful stay here at your beautiful home. We wish it could have been longer!!! You have obviously taken great care over appointing and furnishing the apartment. It’s a great credit to you. We love the island and hope to return.